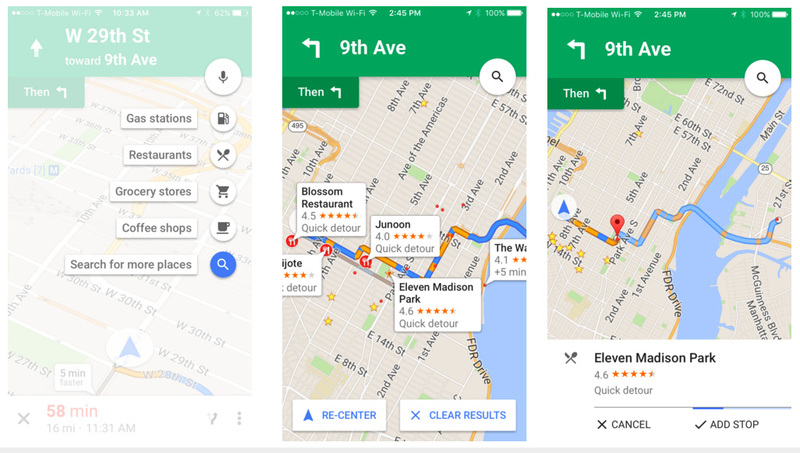 “Add a stop” to your route on Google Maps for iOS | Business Cloud Inc.
A long requested feature has finally come to iOS – “Add a stop” for Google Maps. Starting today, you can plan a pit stop to fill up gas or grab a quick bite to go on your way to your final destination. The feature is available in any country Google offers navigation. To use the feature, simply tap on the magnifying glass at the top-right corner of your screen while in navigation mode and you will see a few available suggestions from Google such as gas stations, restaurants, grocery stores, coffee shops or you could perform a search to find the place you are looking for. This feature also works with voice commands by tapping on the microphone icon instead of typing so you can focus on the road while driving.